very different but equally gifted artists, Marc Ellen Hamel and Norma Lewis. surroundings and incorporated their visceral effect into this new series of paintings. makes them accessible to all. and patterns both unique and repetitive with a more commercial application. Indian baskets and lately, wall-hanging wooden sculptures. Originally from Minnesota, she arrived in California on Pearl Harbor Day at the age of ten. 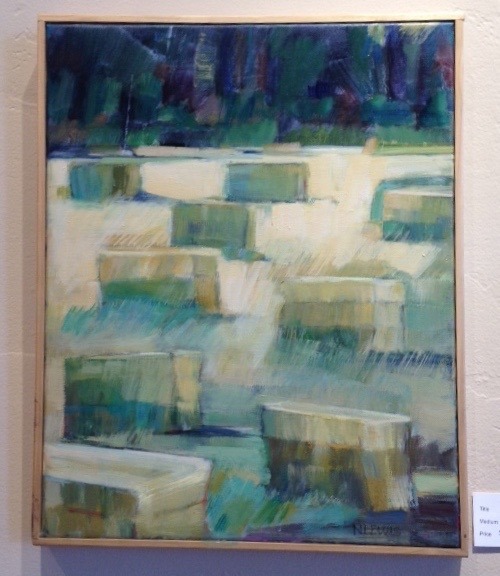 Her family settled in the Monterey/Carmel area and her art education started in junior college. 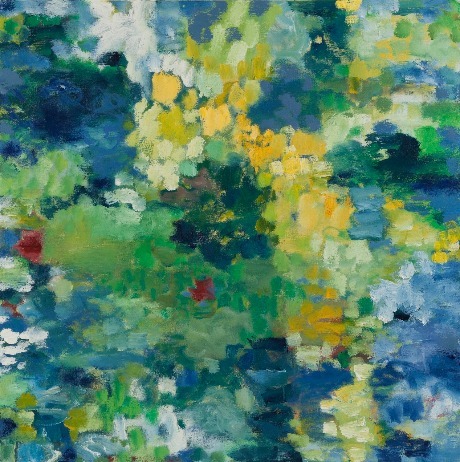 When she later moved to the Bay area, she continued her art education at the California College of Arts and Crafts in Oakland and years later also took classes at Chico State. inspiration to the younger artists in our group. 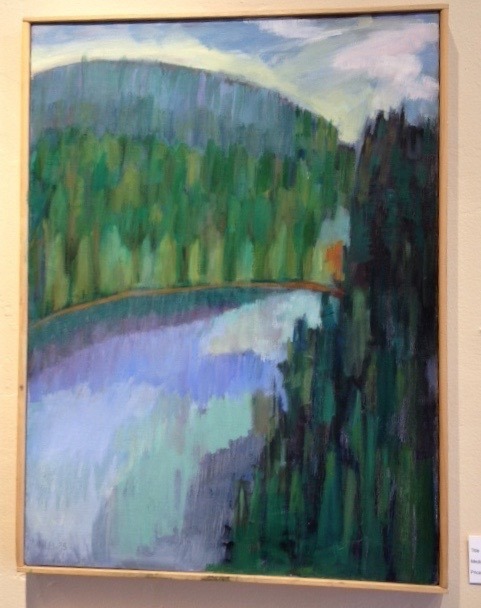 next is "View of Snake Lake from Above" by Norma Lewis.